A new report co-authored by Ann Berrington, University of Southampton Professor of Demography, has highlighted the difficulty in determining the optimum age at which young adults might be treated as independent from their parents in terms of assessing their eligibility for postgraduate funding. Professor Berrington, a member of the Southampton-based ESRC Centre for Population Change (CPC), collaborated with Dr Paul Wakeling from the University of York, and CPC Associate Dr Adriana Duta now at the University of Edinburgh to focus on UK-domiciled graduates and taught postgraduate study in publicly-funded higher education institutions in England. 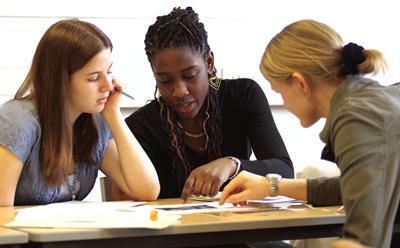 Their report, funded by the Higher Education Funding Council for England (HEFCE), concludes that the decision to undertake further postgraduate study must be viewed in the context of increasing uncertainties in the young adult life course as young people's transitions into adulthood are becoming more protracted, complex and non-linear. The researchers also found that rising debt amongst undergraduates who have completed their first degrees is another factor in determining whether or when they might continue on to pursue postgraduate qualifications as are socio-economic changes to families which could restrict any potential parental support for extended periods of study. Whilst currently, the majority of taught postgraduates in the UK receive no external financial support, the UK government has recently confirmed, through its Autumn Budget Statement, plans to introduce fee loans of £10,000 for postgraduate students under 60 years of age from 2016-17. This follows Postgraduate Support Scheme pilots involving 20 UK universities in 2014-15 which gave rise for HEFCE to commission this report to help determine how to best identify those most in need of financial support at taught postgraduate level. Using data from the UK’s largest household panel study ‘Understanding Society’; the UK Labour Force Survey; and the Higher Education Statistics Agency (HESA) Student Record, the researchers show that, even for UK graduates, it can take many years to become established in the labour market such that self-funding of postgraduate research is a possibility. “Without postgraduate loans the current de facto situation for the large majority of postgraduates without sponsorship is complete reliance on family support. The provision of loans for postgraduate study for UK students is therefore a positive development,” said Professor Berrington. “Further research is required to understand the implications of this extension of the ‘youth stage’ of the life course phase, and parents’ views as to the age when they should no longer be expected to support their children,” Professor Berrington added. The full report ‘Investigating an age threshold for independence at postgraduate level’ can be downloaded via the HEFCE website.